The All India Congress Committee (AICC) has decided to include the issue of Citizenship Bill in its manifesto for the forthcoming parliamentary elections. The election manifesto committee of the AICC headed by senior leader P Chidambaram has decided to include the Citizenship (Amendment) Bill, 2016 issue in its election manifesto. Bora said the Congress election manifesto would also highlight some of the important issues of the northeastern States like restoration of the special category status of all the northeastern States as well as the autonomy of the North East Council (NEC) and autonomy of the DoNER Ministry. “The BJP government has played with the sentiments of the people of Assam. The AASU office in Guwahati has been sealed…this is not at all done,” said Bora adding the situation in Assam shows that “BJP has lost its ground” in Northeast. “The BJP is now playing vote bank politics,” said Bora. 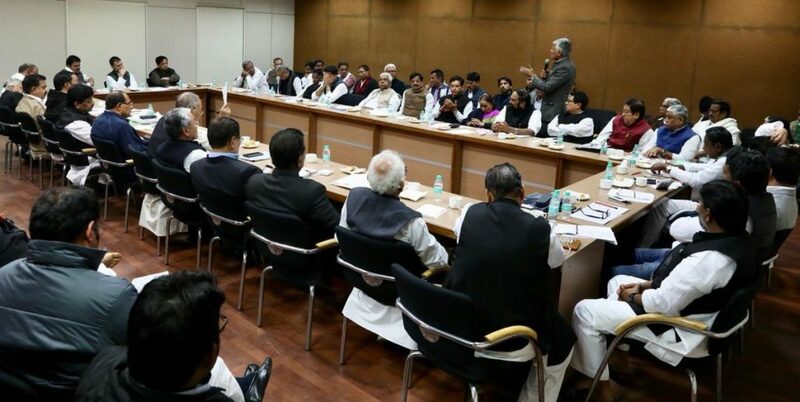 Congress president Rahul Gandhi had a review meeting with all the Congress general secretaries and PCC presidents from across the country in view of the coming Lok Sabha elections. “In the meeting, poll preparations in all the States have been discussed,” said Bora. According to sources in Congress, the heavyweights from New Delhi would soon start visiting northeastern States for campaigning ahead of the coming elections.